With her trademark passion, TV star chef Ching-He Huang brings a new and exciting dimension to Chinese cooking. Confidently fusing Chinese and Western cultures in over 100 quick and easy dishes bursting with flavour, Ching's fresh and healthy take on the Chinese takeaway, without compromising on taste, has revolutionised Chinese cuisine. 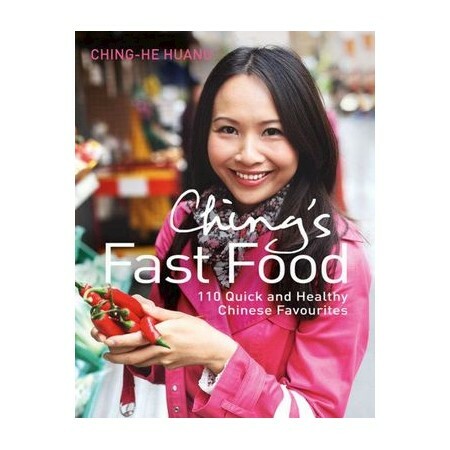 Ching's love and appreciation of Chinese cooking has already seen her previous cookbooks, Chinese Food Made Easy and Ching's Chinese Food in Minutes, reach bestseller status and her BBC TV series receive rave reviews. Now paying homage to the authentic Chinese takeout with her third cookbook, Ching's Chinese Takeaway, Ching makes Chinese food refreshingly accessible and deftly removes the stigma attached to the humble takeaway. From the traditional Chicken Chow Mein to adventurous Cantonese style steamed Lobster with Ginger Soy Sauce; and with lighter dishes such as Yellow Bean Sesame Spinach to Chilli Bean Braised Beef with Coriander and steamed Mantou Buns designed to fill empty stomachs, Ching offers a diverse selection of new and delicious recipes for every occasion and taste. Interspersed with childhood anecdotes, Chinese superstition and etiquette and original suggestions for exciting variations on classic recipes, Ching takes us on a culinary journey that delightfully blends ancient and modern, yin and yang, experimentation and intuition, and ends with perfectly balanced and tantalising dishes that will inspire even the most stalwart takeaway devotees to get cooking.